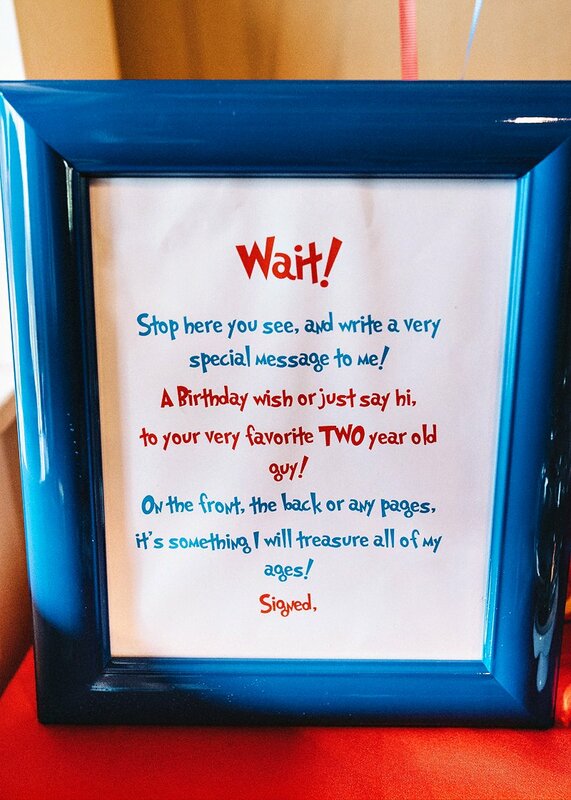 I have to agree with Lindsey (a.k.a. 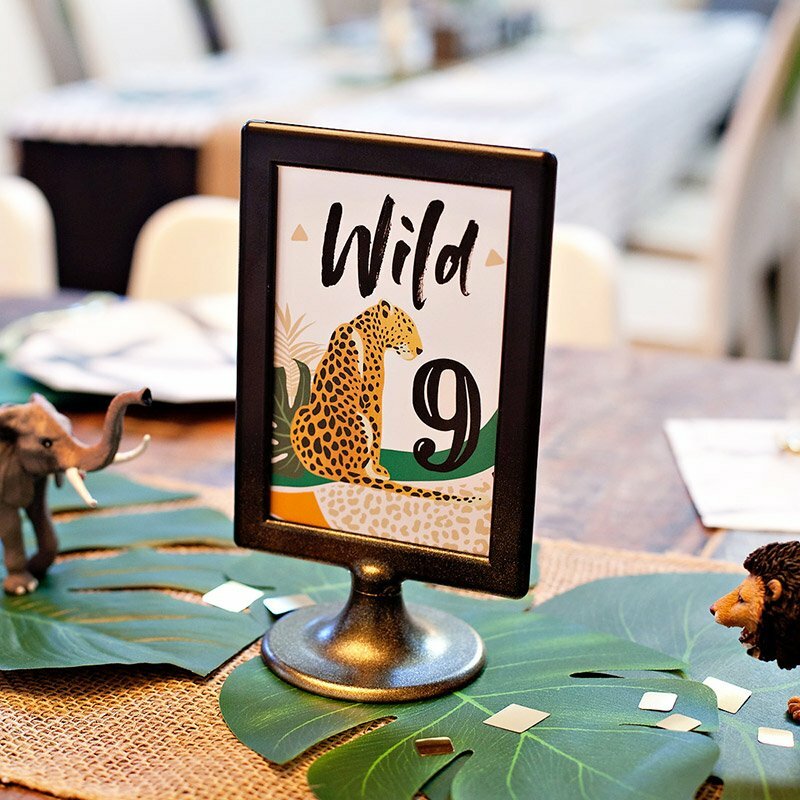 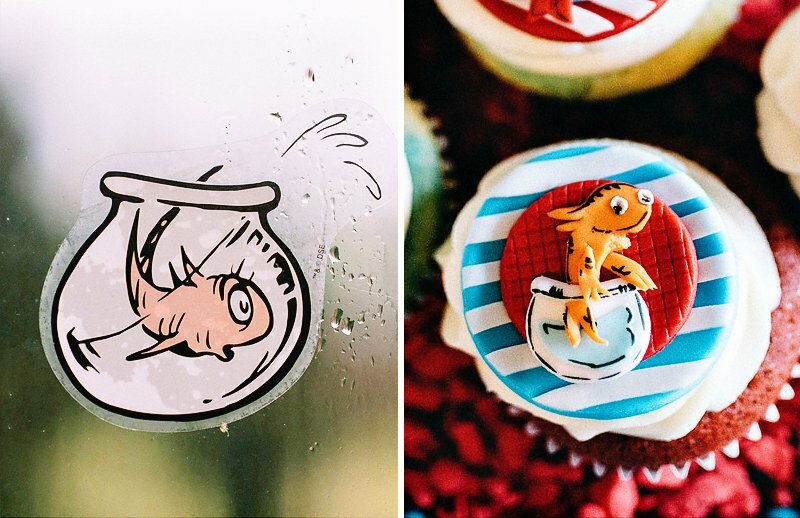 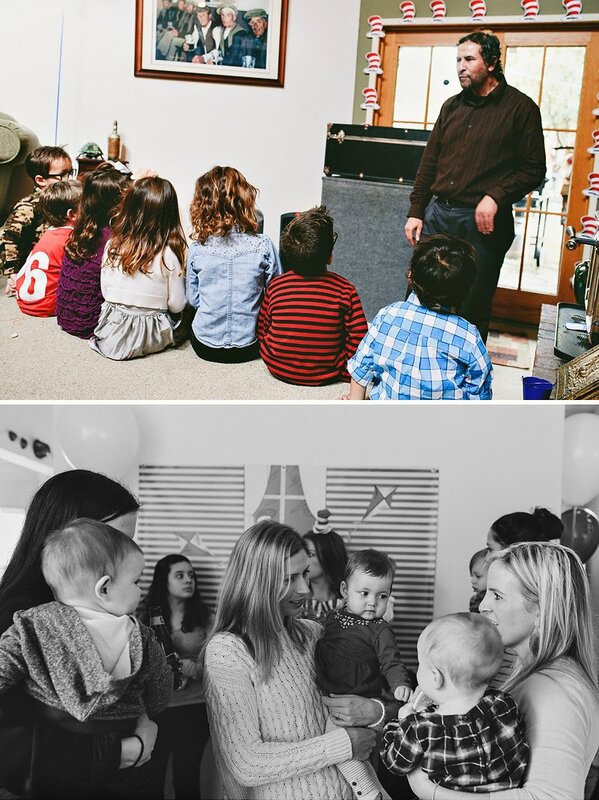 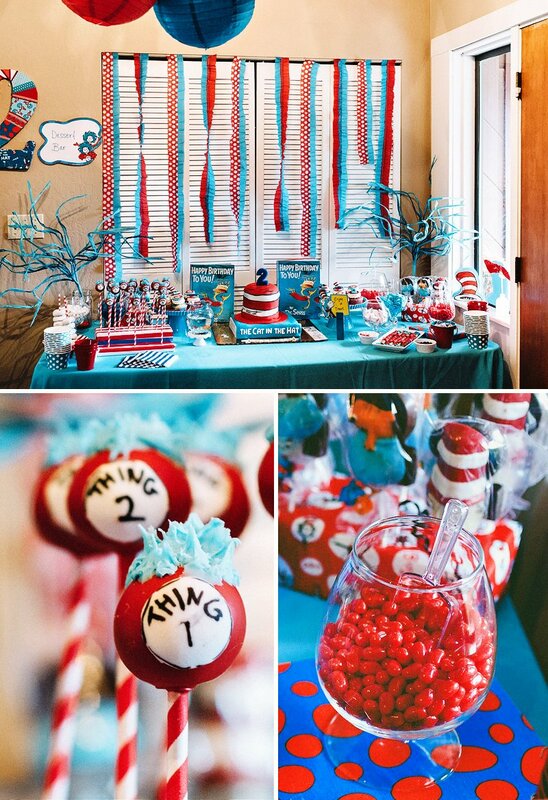 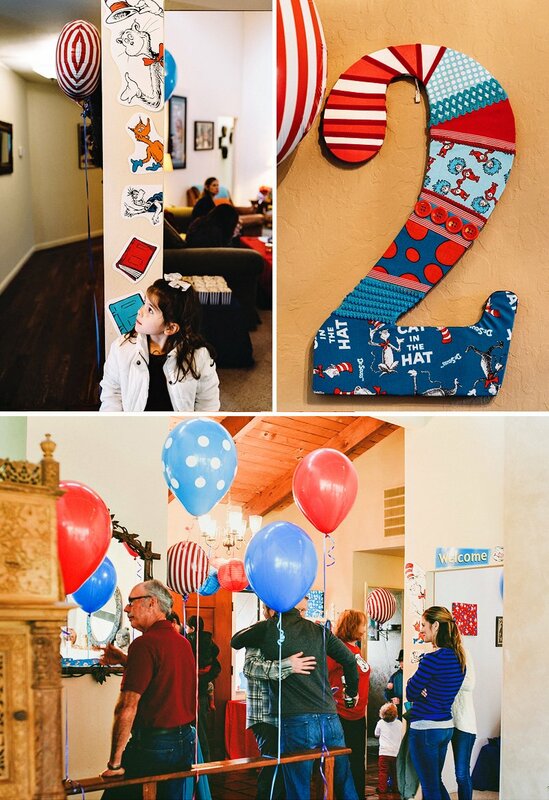 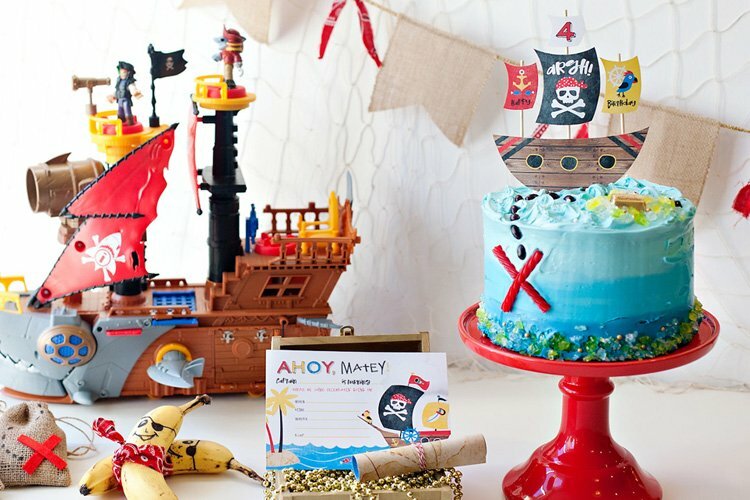 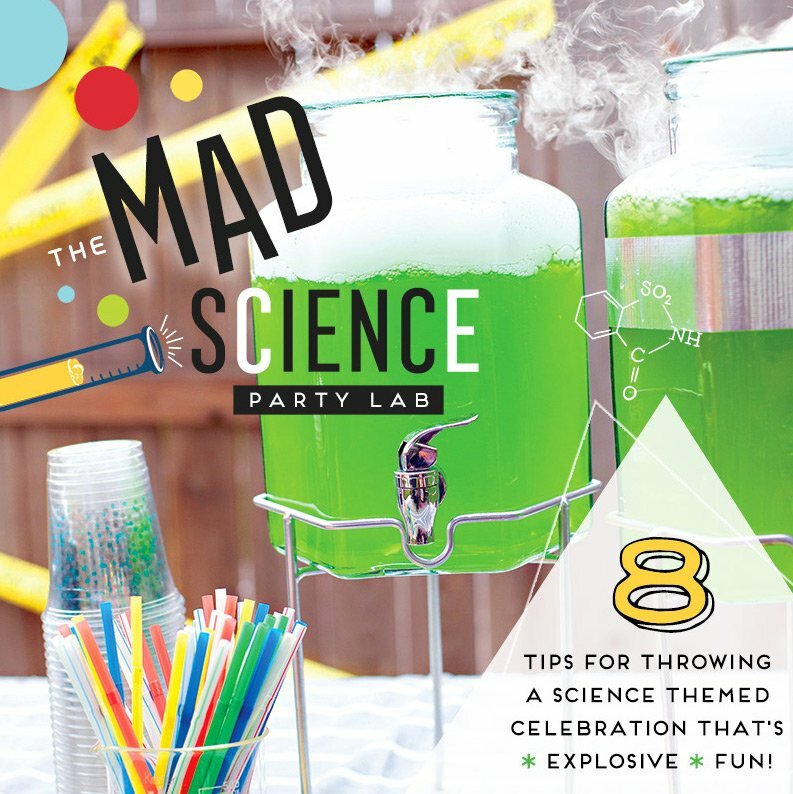 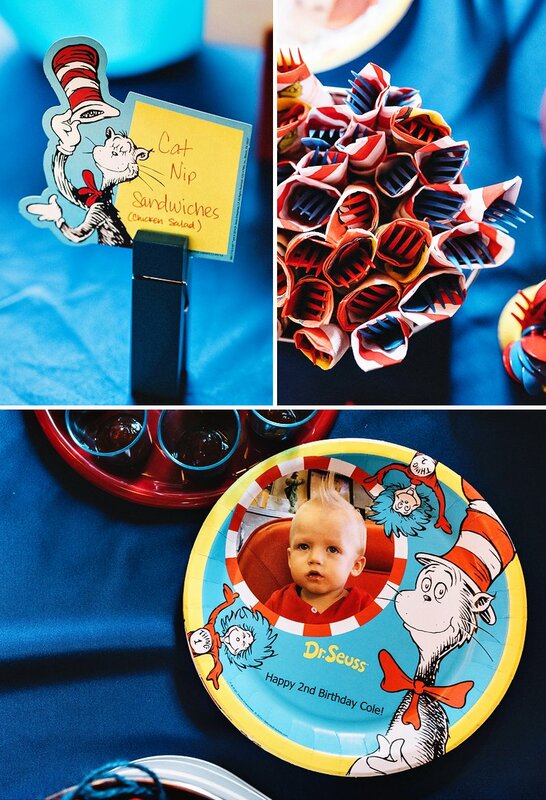 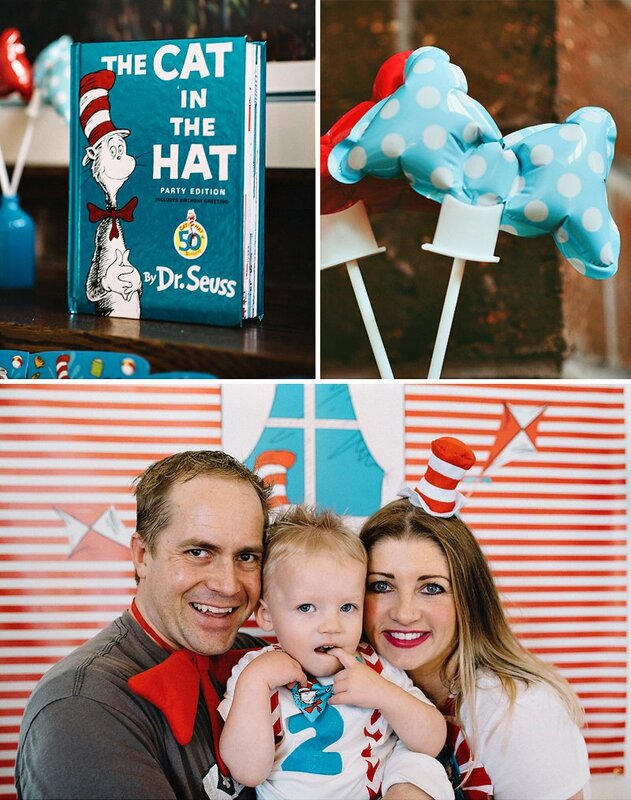 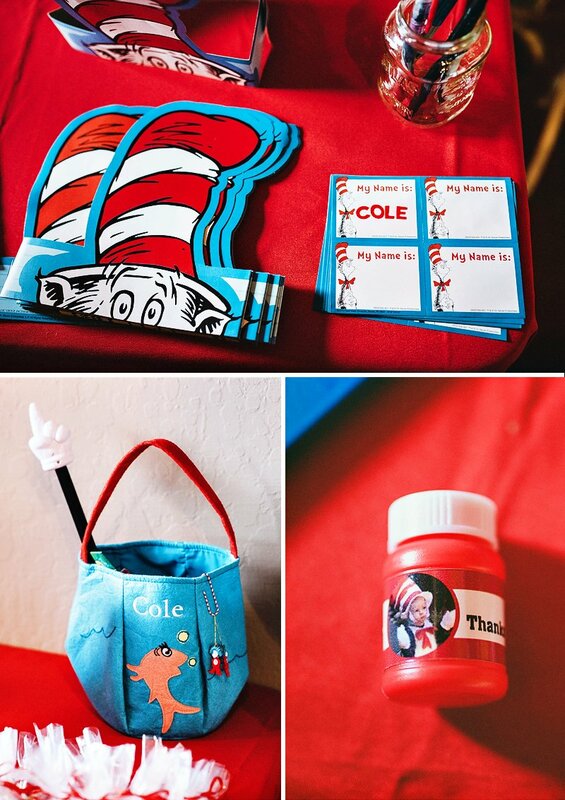 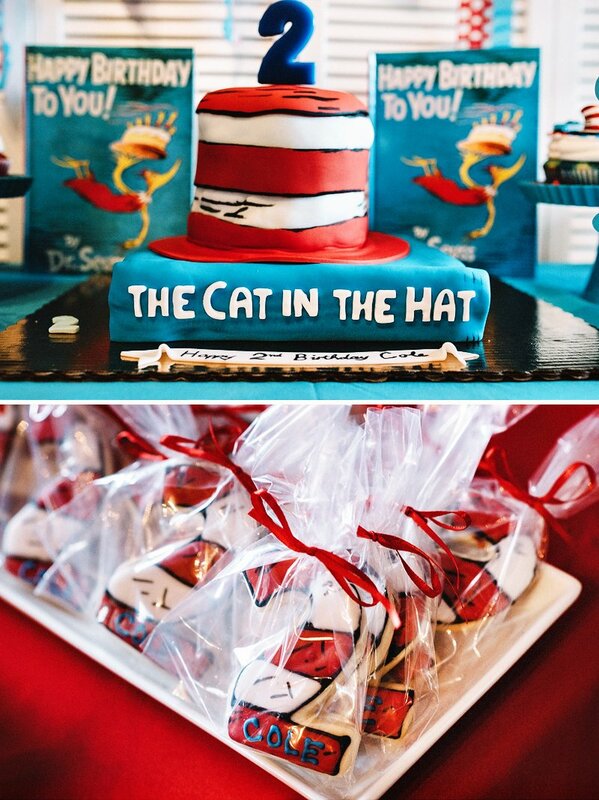 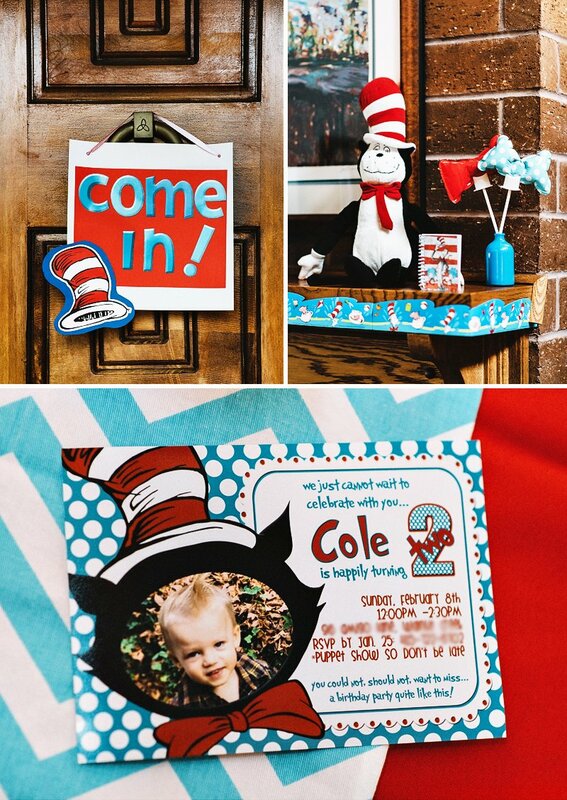 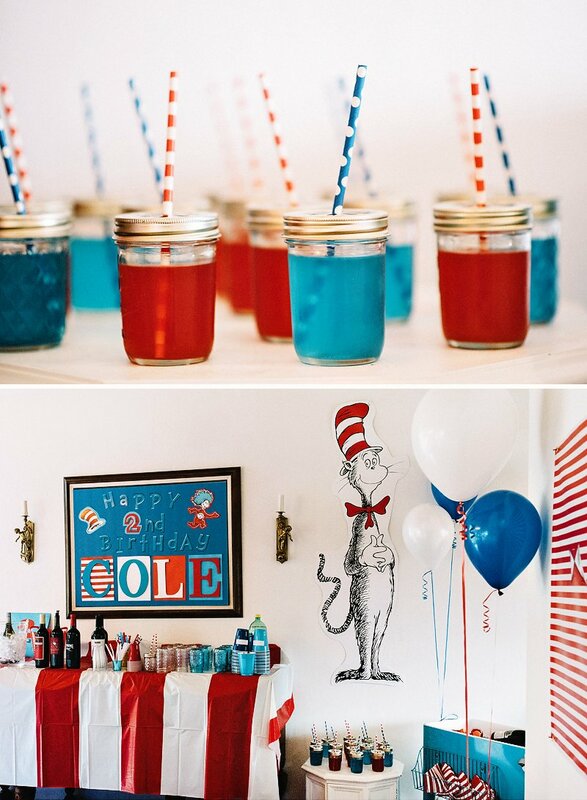 mom of the birthday boy) in her party details below… a labor of love is exactly what I would call her son’s creative & crafty Cat in the Hat Birthday Party! 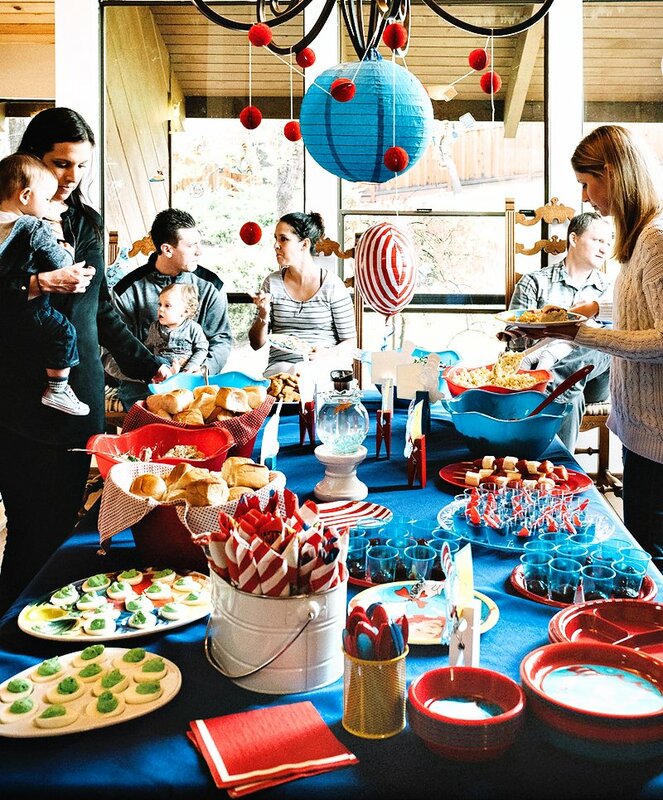 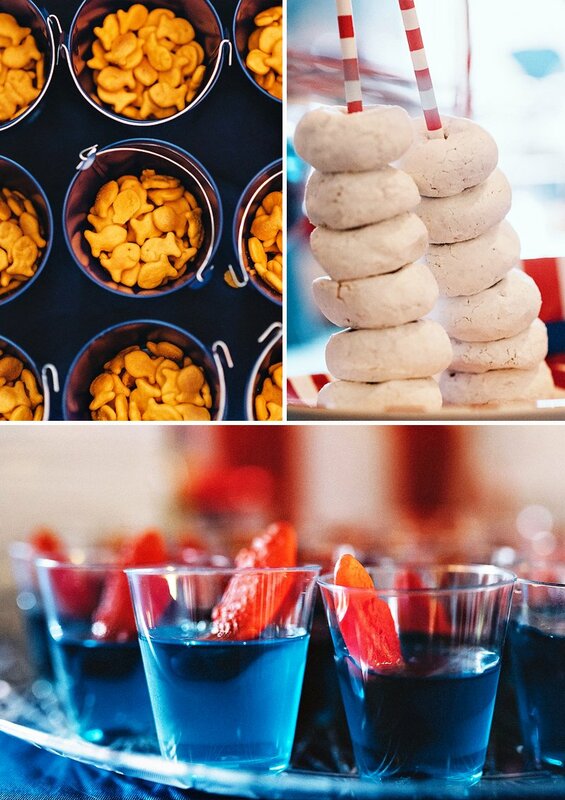 Mini honeycomb ball garland hanginve over the food table + red & white stripes galore! 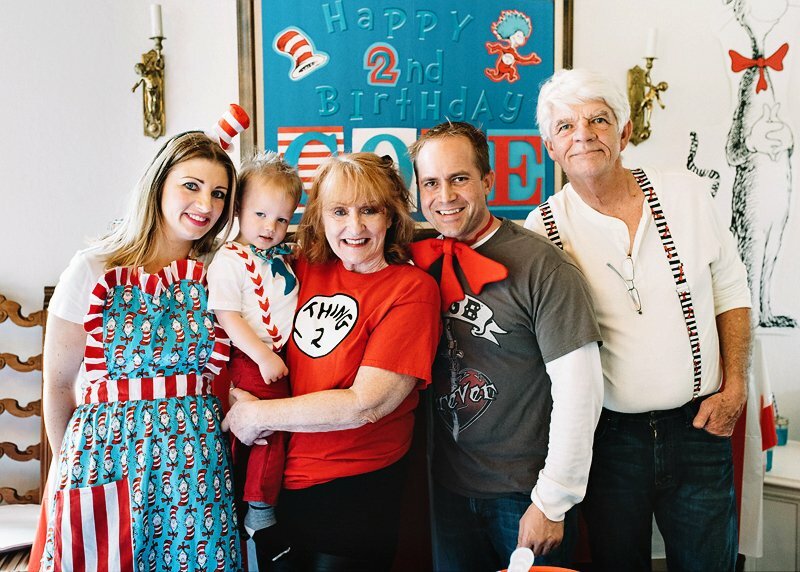 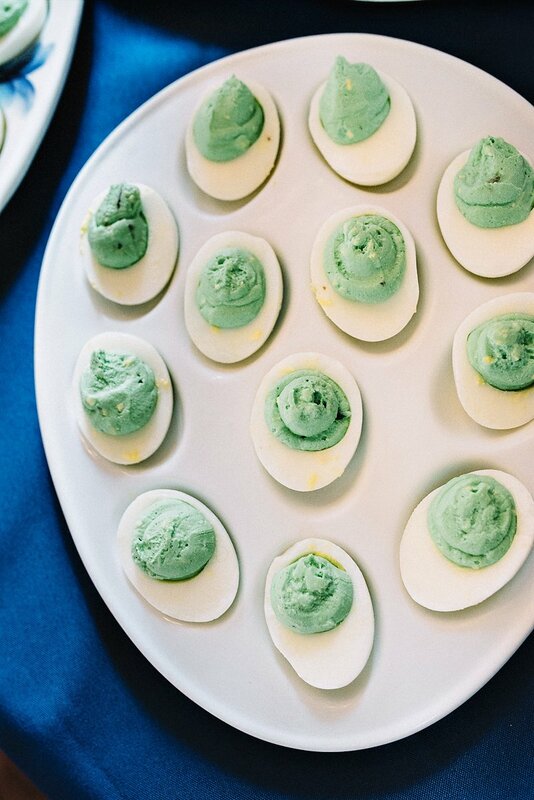 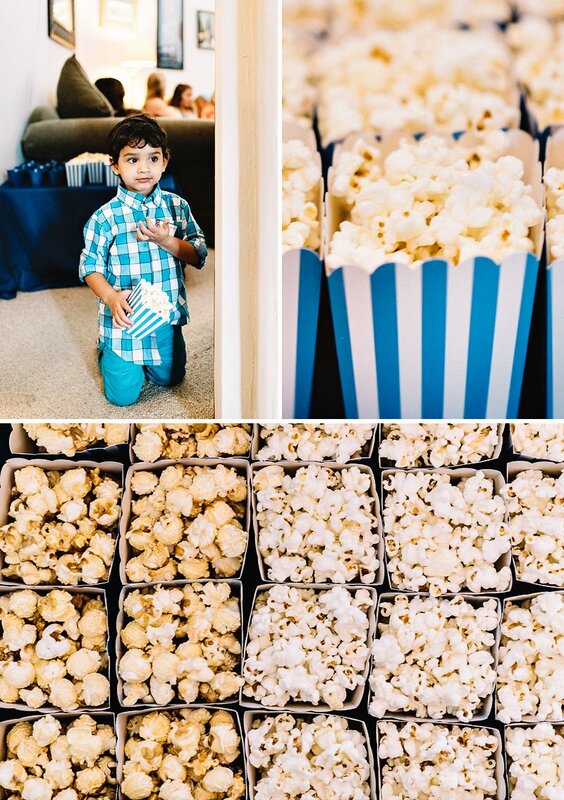 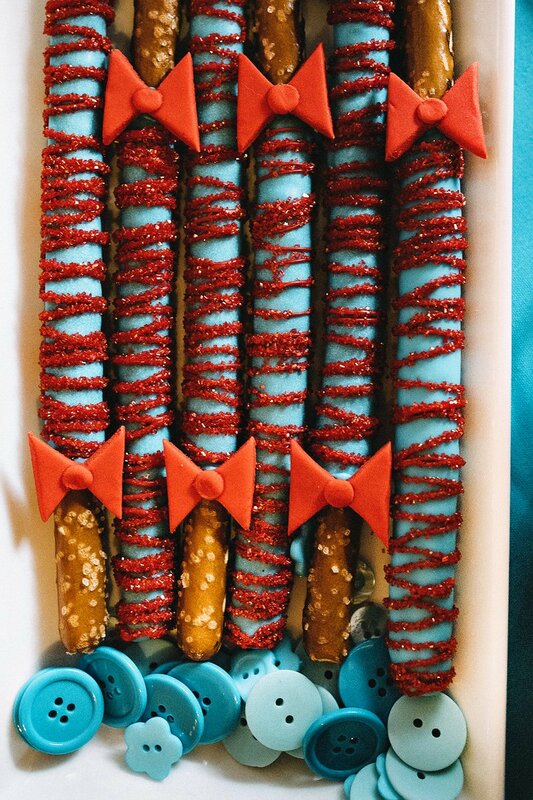 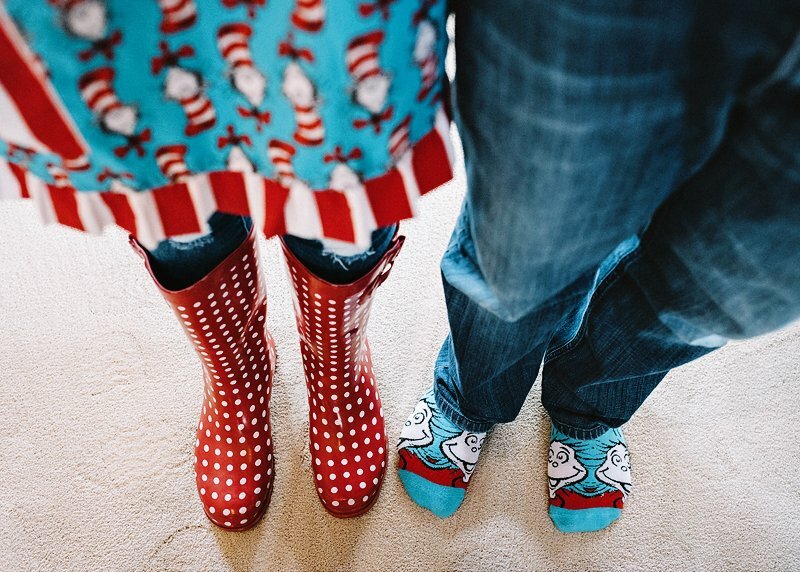 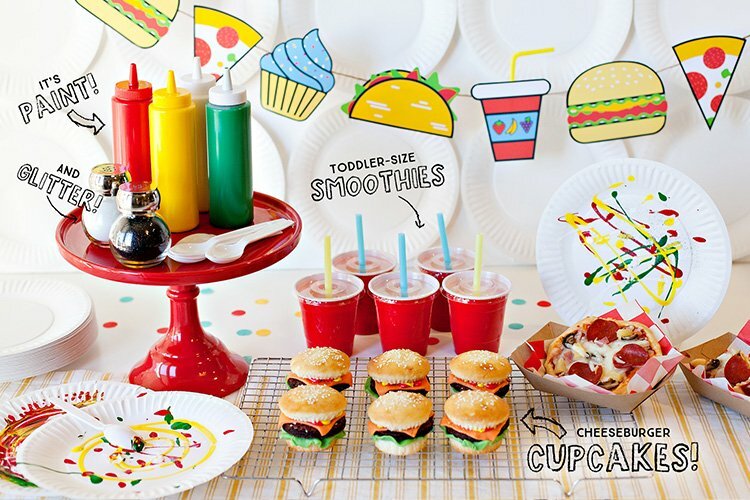 I always get into the theme and create a fun outfit for my whole family….it’s the fun details!! 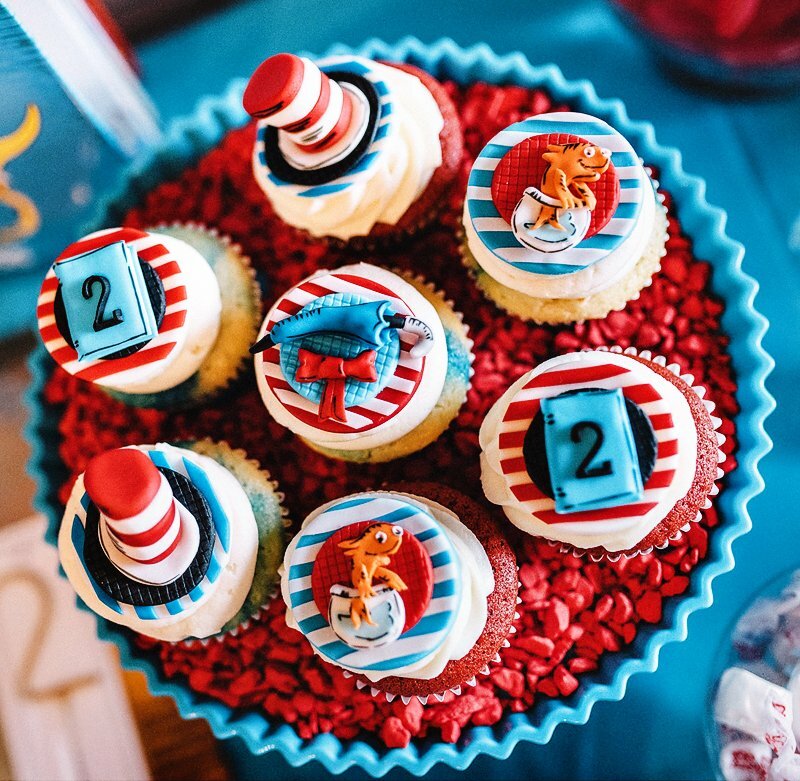 Dr. Suess has provided hours of silly fun for my granddaughters and I.